We know, sometimes it’s easier to check the wind forecast on the map. From now on you can compare data from different weather models in the spot of interest not only on the chart. Switch between 3 wind models (GFS, ECMWF, and ICON13) right on the map. We search for and analyze forecast models all over the world. But as a result, our users receive more complete and realistic data about weather, wind and other important parameters. Since you are wind addicted to your activity the most accurate and easy to read wind forecast is crucial for you. 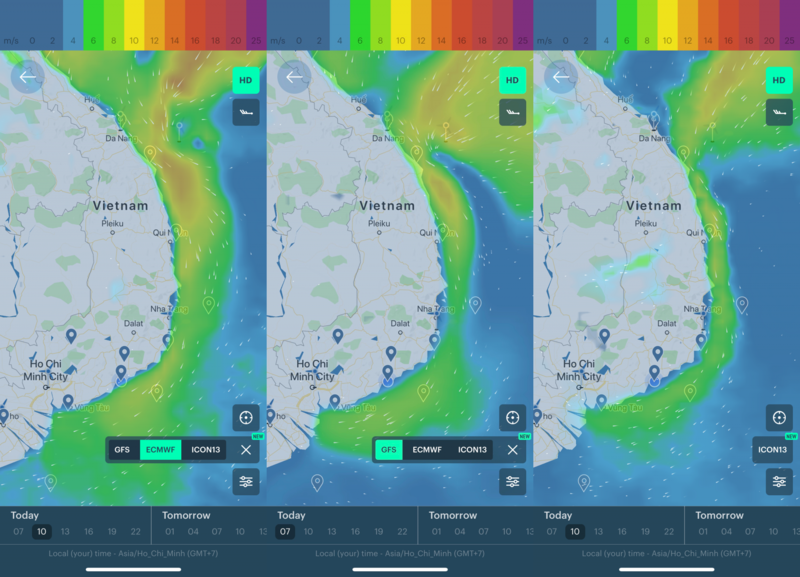 Weather forecast in Windy App is now compiled with due account for 8 mathematical models and the calculation of their behavior. We take information from meteorological stations and their location always affects the weather data. We always keep collecting and analyzing data to never let the weather interfere your vacation.